I went back to one of my favorite roll recipes and made some variations to come up with a tender, light version of cake. 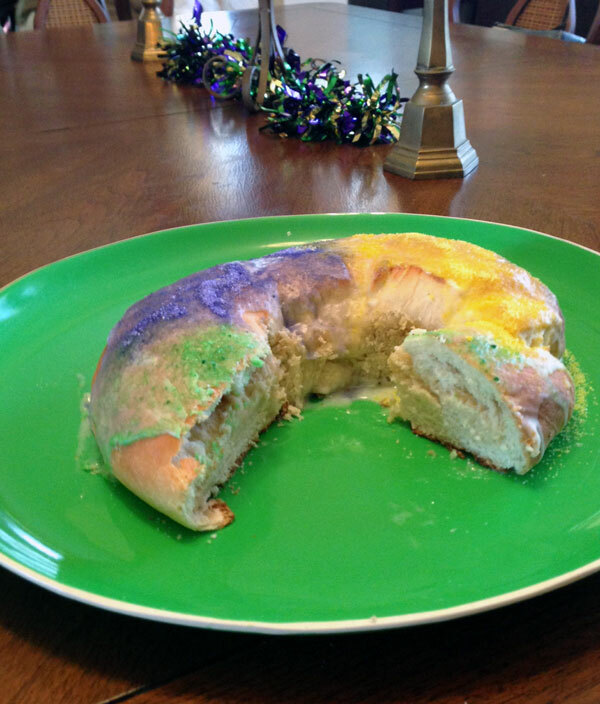 Traditional king cakes tend to be somewhat dense and sometimes a little dry. This version is lighter and flakier. I filled it with a cream cheese filling, but you can use your imagination (see the recipe notes). If you have a plastic baby to insert, that’s great, but if not, you can use a bean. 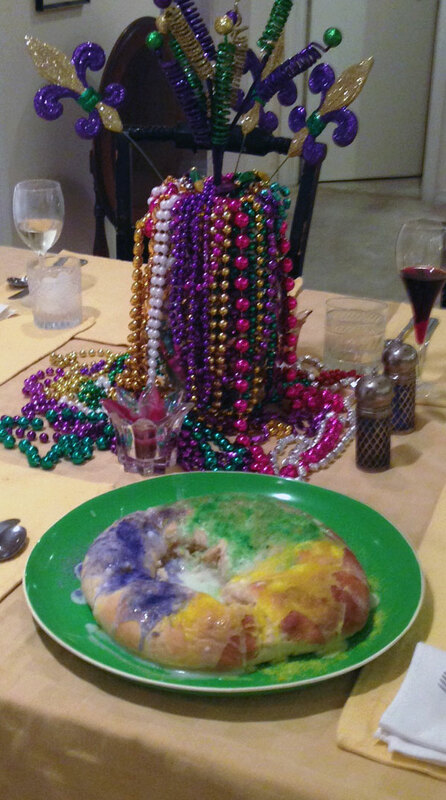 Beans were the original prize in the cake. Either way, the baby or the bean should be inserted into the cake from the bottom, after it has been baked. We don’t want any melted plastic babies! 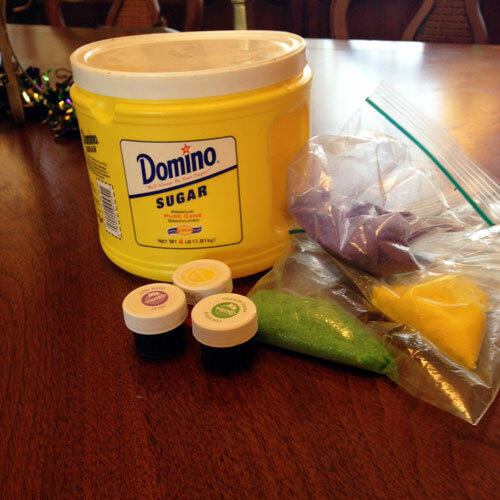 I made my own colored sugar with plain white sugar and gel coloring. I put the sugar in a plastic bag and added a bit of gel coloring (a little goes a long way) and mushed it around to color the sugar. I added more coloring as needed to get the desired tint. This was much more economical than purchasing individual colors of sugar, and I get to make the color I want, when I need it. Try this out and let me know what filling you used. If you take pictures, send me one at christi@asouthernlife.com so I can share them.